Bonus Outtakes and Rarities is a digital-only collection whose contents are clearly intended to compliment the Talking Heads' reissue series in 2006 (first released as a box set known as the "Brick" in 2005). Most of the band's limited catalog of b-sides and non-album tracks appeared there as bonus tracks along with some outtakes, alternate versions, and remixes. This collection digs even deeper, scraping together further obscurities in a haphazard fashion. My guess is that at some point on the process of preparing the reissues, a decision was made to switch from standard CD releases to DualDiscs, which had about a 60-minute limit. This album is presumably most of what had to be cut to fit the constraints. Initially, it was only released in mp3, but at some point in the last few years, lossless versions started showing up in online retailers. There are no liner notes and hardly any details to be found anywhere online. I've only found one other review online, and it's not very long or detailed. It's fairly negative and it skewers the quality of the presentation and most of the contents. Certainly there is something lacking about the package; the lack of information is annoying, and the whole thing feels a bit hastily thrown together. In particular, there are several mastering errors. Volume levels vary noticeably among the tracks. There are conspicuously long gaps of silence between some tracks. There is a bad edit at the end of "Electricity". "A Clean Break" has what sounds like tape damage at the end. Also frustrating is that while it gets very close to being a perfect summary of the band's released catalog in tandem with the reissues, it misses the alternate "experimental pop" version of "Uh-Oh, Love Comes to Town" and the Naked outtake "In Asking Land", both released on the 2003 Once in a Lifetime box set, as well as the version of "New Feeling" from the "Love → Building on Fire" single (although an even fuller mix is present here) and some of the "movie versions" of the True Stories songs. There were also tons of extended remixes and such found on rare 12" singles, although most of them are admittedly forgettable and offer no material not already present on the regular versions. Despite those complaints, there is plenty to say about the actual music contained within. First, while some of the tracks from the first half had been available on various bootlegs for years prior, I'd never heard them in this quality. Second, while many of these appeared on Sand in the Vaseline in 1992 and/or the Once in a Lifetime boxset in 2003, about half were previously unreleased as far as I can tell. Much of Bonus Outtakes and Rarities consists of alternate versions from the first half of the band's career. "New Feeling" is the early "experimental pop" mix, similar to the b-side version but with extra horns on top. "First Week/Last Week... Carefree" sounds like the album version without any of the overdubs. The others ("Thank You for Sending Me an Angel", "Warning Sign", "Artists Only", "Electricity", "Drugs", and "Crosseyed and Painless") all sound like early demo versions. There are few (if any) overdubs, and they sound like just the four members of the band running through the songs, before Brian Eno started working much of his magic. In each case, the album version is superior, but it is still instructive to hear these versions. "Thank You for Sending Me an Angel" has the same structure as the album version and the "Country Angel" version, but none of the overdubs and detail. "Warning Sign" has simpler lyrics. "Artists Only" is much slower and features much longer instrumental breaks. "Electricity" is recognizable as an early version of "Drugs" and yet is completely different. It has a great groove and is already a bit weird. It's close to the first live version on the 2004 reissue of The Name of This Band Is Talking Heads, but even simpler. "Drugs" is an early, shorter mix with fewer sound effects but a weird bendy guitar bit from Robert Fripp. It is more obvious that David Byrne was singing while jogging, which is to say he sounds grosser but more human. The song is less otherworldly than the album version, but just about as bizarre. "Crosseyed and Painless" is much simpler but much longer. The arrangement is moderately full, but sounds incomplete in comparison to the complexity of the final version. The song finishes with a long jam over repetitions of "facts" rap. "I Want to Live" is a demo from 1975, long before Jerry Harrison joined the band. It's an acoustic number that shows where the band started but also what they left behind. "A Clean Break (Let's Work)" is an early song that was apparently never recorded in the studio. 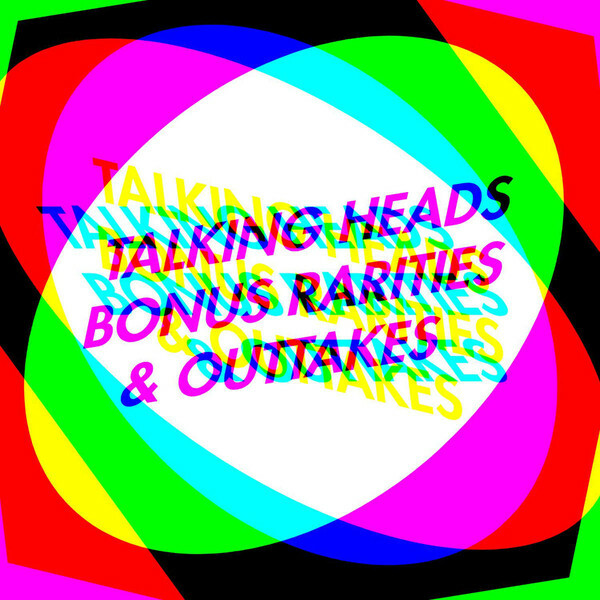 Another live version was released on the reissue of The Name of This Band Is Talking Heads. It's strong enough that one wonders why it was overlooked at the time. "These Boots Are Made for Walkin'" (yes, the Nancy Sinatra song) and "I'm Not Ready Yet" are both brief acoustic bits by Byrne solo. He was clearly just being silly in the studio, but they're both fun. "I Zimbra" is a 12" version supposedly remixed by Brian Eno, but it doesn't offer much except a standard-issue remix breakdown at the end. "The Lady Don't Mind" is surprisingly not just a remix, but apparently an extended alternate version with different lyrics and a much different arrangement. It's better than the original and hard to believe that it really wasn't previously released. "People Like Us" is the "movie version" with John Goodman's vocals, originally released as the b-side of "Wild Wild Life". It's weird. The last three tracks were all unfinished outtakes from the latter years of the band that eventually appeared on Sand in the Vaseline. All three have decent grooves but it's easy to see why they didn't make the first cut. "Gangster of Love" was apparently based on outtakes from Remain in Light in 1980 and Naked in 1987, but it wasn't completed until the band's last sessions in 1991. "Lifetime Piling Up" was a Naked outtake and is probably the best of the bunch. "Popsicle" was a Speaking in Tongues outtake from 1983. It's creepy and one of the band's least appealing songs. There aren't many jems in this collection, but it nonetheless serves an important role in gathering most of the band's sundry leftovers that didn't fit on the reissues. For a dedicated fan that wants to collect every track as simply as possible, this is a goldmine. However, I'd image that for someone who had followed the band since their early days, this would be frustratingly redundant. Most of the best material had been previously released. Of the rest, the various alternate versions are worth a listen, but are far from essential. The "Electricity" instrumental outtake and the "Moog March" version of "The Lady Don't Mind" are the two biggest exceptions. Both are strong in their own right and deserve better than this obscurity. It's hard to recommend the album, but it's perfect for the right type of consumer. Apparently that happens to include me.